Dr. Hannes Blum started his career with The Boston Consulting Group in Germany and founded his first company (JustBooks GmbH) with colleagues of his PhD program in 1999. After selling his business to AbeBooks.com, he was asked to take over as CEO of AbeBooks which brought him and his family to Victoria, Canada in 2003. 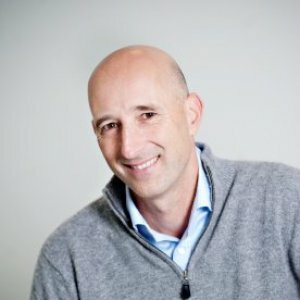 After acquiring 5 companies, he sold AbeBooks to Amazon.com in 2008 and stayed on as a VP for Amazon.com until May 2015. Currently, he is Venture Partner North America for Acton Capital, a Munich based VC fund focused on consumer internet. He sits on the Board of six companies (Mobify in Vancouver, Blitsy in Chicago, Eloquii and Lofty in New York and Codename Entertainment as well as Monk Office in Victoria) and is an active Angel Investor. In his spare time, Hannes loves to spend time with his wife and 2 children, on tennis courts, ski hills and golf courses.